Disaster can strike anywhere, any time. The type of disaster you’re most likely to face will vary across different regions. For example, maybe your region is more susceptible to tornados than earthquakes. Or, maybe you live in an area where tsunamis, wildfires or landslides are a risk. Regardless of what poses the greatest threat, being prepared in the face of a worst-case scenario can save your life and the lives of those you care about most. Whether you decide to purchase an emergency preparedness kit or build your own using these guidelines, being prepared is vital. 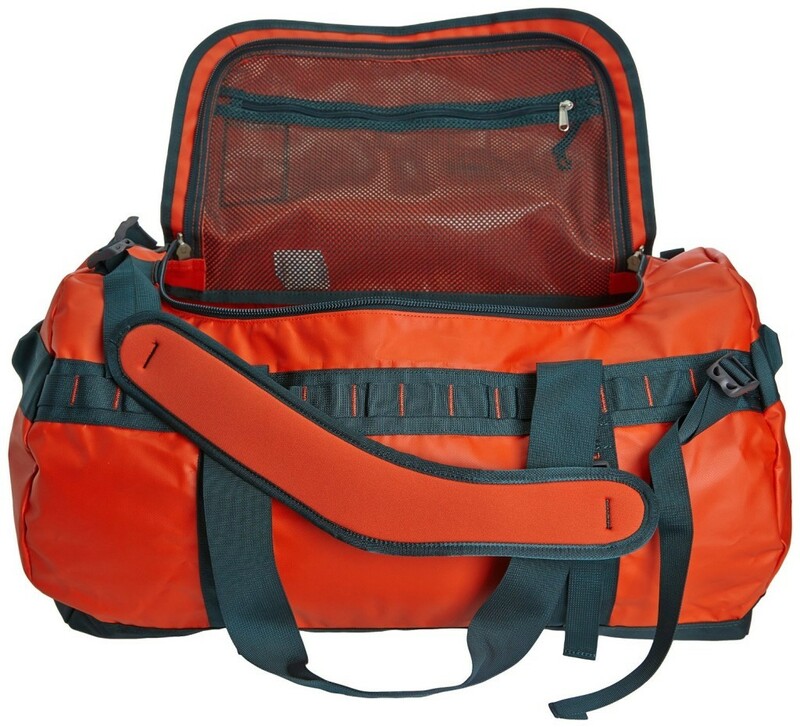 The duffle bag may make carrying easier while storage containers are less susceptible to contamination and damage during the disaster. Either way, make sure it’s large enough to fit everything you are going to include, but keep in mind that you must be able to lift and carry your kit rather easily. Regardless of which style you decide to use, make sure it’s a dedicated emergency kit. Once your kit is packed, it should stay packed. Water: This is perhaps the most important thing on this list. Store one gallon of water per person, per day for drinking and sanitation. There are a few options for storing water, such as bottled or canned water, or filling clean and empty containers such as milk jugs or soda bottles with tap water. Radios: Include a battery-powered or hand crank radio and a NOAA weather alert radio. These are important for getting comprehensive emergency and weather information and updates. Although the NOAA has an app you can download for your smartphone, in the event of cell-tower outages the information may be inaccessible. Flashlight: Power-outages are common during emergencies. Pack a reliable flashlight but do not store it with batteries inside. Even when it’s turned off the batteries will continuously discharge. This rule applies to all battery-powered electronics. Batteries: Keep plenty of extra batteries on hand for all devices. Make sure they are stored properly in a non-conductive container such as plastic, rubber or silicone. Emergency whistle: If you are unable to move, use the whistle to call for help. Blow in sets of three with a slight pause in-between. Moist towelettes: If you need to wash your hands use these or hand sanitizer. Save your water for drinking and cooking. Garbage bags with plastic ties: Dedicate a spot for relieving yourself. Set up a garbage bag and use it to do your business. Cat litter can be added to the bag to cut down on the smell. Always dispose of human waste properly. Check with your local guidelines for how to do this once the disaster has passed. Tools: In emergency situations, household utilities like gas should be shut off. For this purpose, include an adjustable wrench and a utility knife with tools such as pliers and screwdrivers. First aid-kit: This should include bandages, gauze, antibacterial ointment and non-prescription medications like pain relievers, anti-diarrheal medication, antacids and laxatives. Cash: Credit card machines and ATMs may not be available in a disaster. Important family documents: Copies of insurance policies, personal identification and bank records should be kept in the kit. 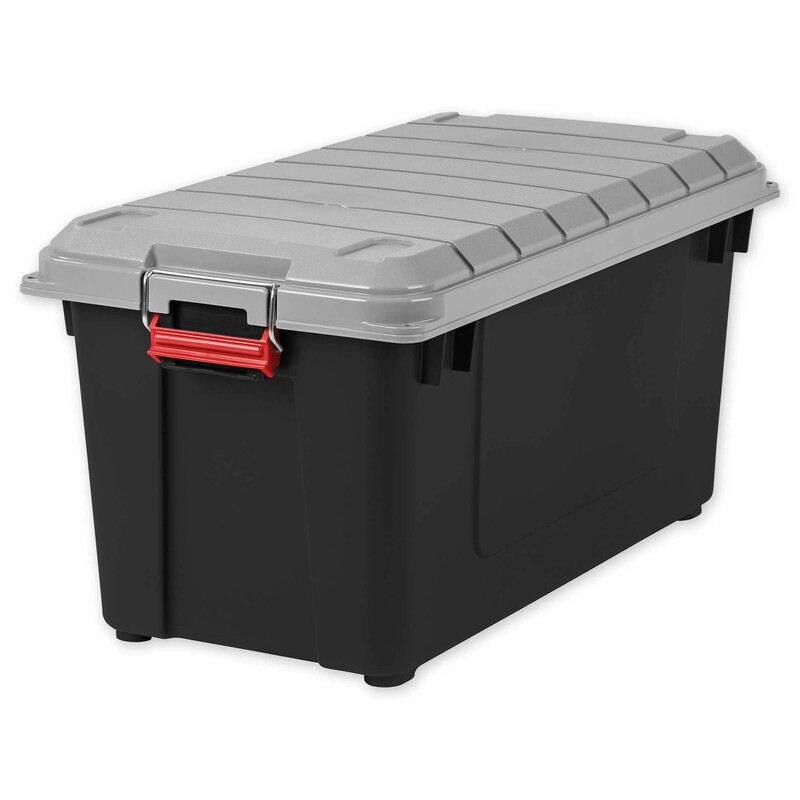 Make sure documents are protected in a waterproof container within the kit. Warm blankets: Include one for each person. Alternative options are sleeping bags or emergency blankets. Water disinfectant: If your water stores are lost, damaged, or contaminated, having a back-up plan is vital. Invest in a portable water filter like ones sold for use while backpacking or camping. Matches: Store in a waterproof container. Strike anywhere matches are best. Personal hygiene products: Include toothbrushes, toothpaste, deodorant and a hairbrush or comb. Avoid adding large or bulky items like shampoo, conditioner, and body wash as they require precious water. Mess kit: Mess kits include compact pots and pans for light cooking as well as cooking utensils. Also include items like disposable cups, plates, and utensils for eating. Paper and pencil: Pencils are more reliable and won’t run or smudge if the paper gets wet. Sharpen the pencil with your knife or include a small manual pencil sharpener. Entertainment: No one wants to be stuck in one place for several days, but children are particularly susceptible to excruciating boredom. Keep them (and yourself) entertained by bringing compact games, puzzles and a few books. Luxury items: A package of your favorite cookies or a bottle of wine could be just the thing you need to get your mind off an exceptionally trying day. Whatever you decide to include, be sure to remain alert in case further action is required. When choosing a location to store your emergency kit it’s important to keep a few things in mind: temperature, humidity, and accessibility. Water, canned foods, and batteries should be kept in a cool, dry place. 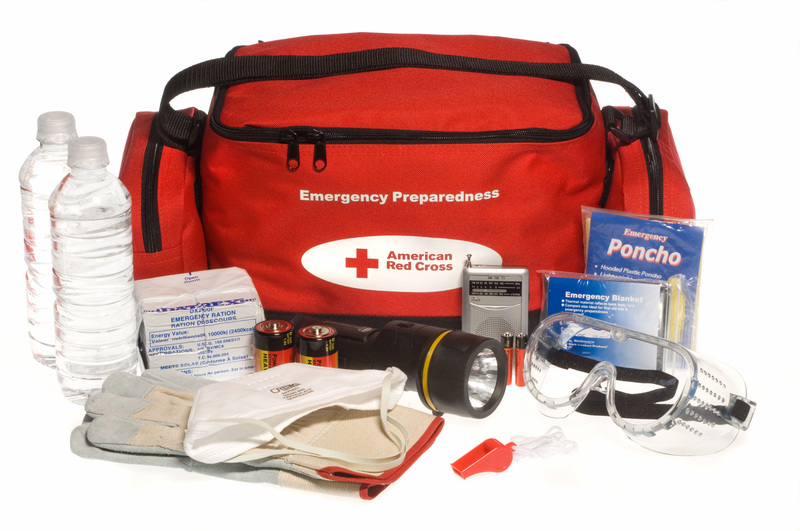 If disaster strikes and you need to evacuate, you’ll need to be able to grab your kit and go. If it’s safer to stay put, you’ll still need to be able to get to your kit, so keep it somewhere it’s easy to get to. Dedicate one spot in your house for your kit and make sure everyone knows where it is. Create an evacuation plan with your family and set a meeting spot in case you are separated when disaster strikes. Fire extinguishers should be checked monthly by a member of your household. Annual checks should be done by a professional. Replacement is recommended every six years. Check the charge of all power banks and batteries every three to six months. Recharge and replace items as needed. As the needs of you and your family change, your kit should be updated to reflect those changes. Once a year, reevaluate what you’ve included in your kit. You may find it helpful to keep a list of all the items that are stored in your kit, so you don’t forget what you packed. If you had a child or got a new pet be sure to add items accordingly. Hopefully you won’t need to use it, but preparation can be the key to survival in the face of unexpected danger.